A solution that gives you the possibility to manage all your financial information of your offices worldwide, collecting data automated and analyse the results. No matter you have only a smartphone or a smartwatch. Be informed what’s going on wherever you are! That’s our vision for the future in Cloud Computing and IoT. Be a part of it! And you would be impressed how it works for your success! System gives you the power to automate most processes in the company and run your business in one hand. Our software products are ready to be integrated in a managing system, which we call CISS – cloud integrated system solution. There you could manage not only your finance information, your personnel and your devices – IoT, but everything you would need to add in future. Because technologies and your business are growing up! is an IT company with more than 10 years experience in development of software solutions. Our main idea is optimization of business processes. We aim to integrate high technology innovations in company's activity. It results in increasing sales, more and more happy customers and success. The most important, which refers to our software systems is to manage your business - easily, secure and mobile! We would like to share our satisfaction of working with the team of “ComSy 54 – Vasil Zashev and partners” Ltd., regarding the implementation and setting to work of the software “FMCS” for the financial control in the National Assembly of Bulgaria. Thanks to the professionalism demonstrated by all employees and as a result of the technical analysis of our needs, the embedded software product fully meets our initial requirements. 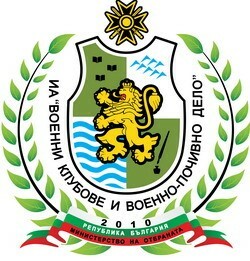 Directorate “PAMDT” – Sofia Municipality recommends the firm “ComSy 54 – Vasil Zashev and partners” Ltd. as a reliable and trustworthy partner in the development and implementation of software system for reporting of revenue collected from local taxes and fees in all 22 sections of the Directorate. Based on the accumulated experience, I would recommend to those who need trustworthy and competent partner in the implementation of their ideas for optimizing performance and improving results, to seek the assistance of company “ComSy 54 – Vasil Zashev and partners” Ltd .